What we see in Syria today is presented as a noble effort based on the policy of Responsibility to Protect (R2P) by the US and its allies to remove an alleged war criminal from power in that country. The hypocrisy of this claim is conveniently ignored by our official media. However the citizens of Viet-Nam, Afghanistan, Pakistan, Iraq and Libya, and many others, would be amazed by the way the killers who run the US Empire are allowed to clothe their actions with the pretense of protecting human rights and spreading democracy. Of course oil in Syria and pipelines through the country are the real reasons for the US Empire's war against Syria. Who asks for the reason why the people of Syria are resisting this aggression? For them it is just another very bloody stage in their long struggle for independence. 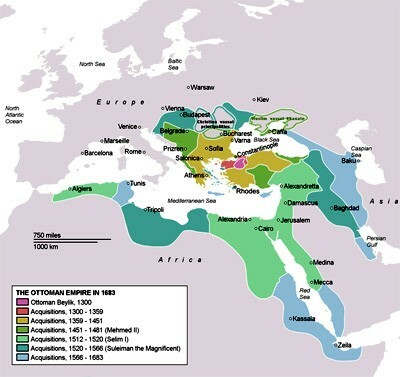 For centuries they were part of the giant Ottoman Empire. During World War I they fought to defeat the forces of this empire. After World War I they were made a colony of France, and after World War II they had to deal with the manipulations of the newest empire, that of the US. They have spent the last 95 years fighting for their independence from the West. In their history, Syrians have time and time again made it clear they want to run their own country, but observers in the West of virtually all political persuasions can only see a conflict over human rights, democracy or oil and pipelines. Anyone who thinks the current war on Syria is anything other than a continuation of the naked imperialist aggression of the 19th and 20th centuries is completely blinded by the lies and bogus morality of the murdering pirates who run the US Empire. This is the second of two parts looking at the Syria's struggle for independence. Over time the players change but it is the same game with the same goal: imperial powers and their oil/gas multinationals want no opposition to their plans. The sovereignty of Syria or any other country must be crushed. 1963 In the 8th of March Revolution the Syrian Regional Branch of the Arab Socialist Ba'ath Party seized power. 1967 Israel begins Six Day War with attack on Egypt. 1973 Syria and Egypt initiated the Yom Kippur War against Israel. 1976-2005 Syrian troops protected Lebanon from Israel. 1976-1982 First Muslim Brotherhood uprising in Syria. 2000 Death of Hafez al-Assad. His son Bashar Hafez al-Assad becomes president. 2006-2015 US approaches Muslim Brotherhood to organize another uprising in Syria. 2009 Qatar approaches Syria with plan for Arab Gas Pipeline from Qatar to Turkey. Syria rejects pipeline plan. 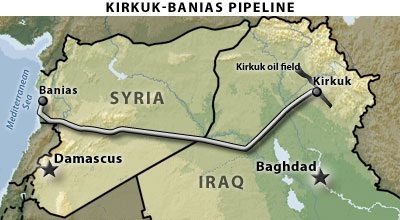 2010 Syria agrees to an oil pipeline from Kirkuk in Iraq to Banias on Syrian coast and a gas pipeline from Iran into Syria. 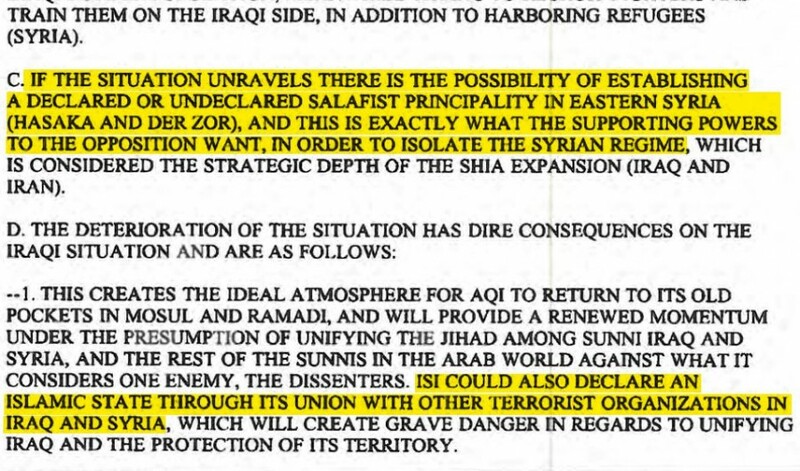 2011-2015 Documents show US planned to support salafists, Muslim Brotherhood, and Al Qaeda in Iraq to organize insurgency in Syria which begins under cover of "Arab Spring". Bases set up in Turkey to train what becomes ISIS. Further in Syria, minorities were often underprivileged, and a specific minority often belonged to a specific social class. The Alawites, the Druzes and the Isma'ilis for instance, were were part of the lower social classes, so they were attracted to a radical form of Arab nationalism offered by the Ba'ath Party. The 8 March Revolution is often seen as just a military coup. However the success of the revolution comes from the fact that it was made up of an alliance between a radicalized lower middle class, strategic members of the officer corps, marginalized minorities and peasants who were part of an ongoing agrarian conflict. In particular the Syrian military, which in many countries is socially conservative, became radicalized because they believed the traditional elite were unable to defend the country. Also many military personnel were recruited from the new middle class or from the peasants, and the peasants were an essential element of the Ba'athist revolution. Because the traditional elite monopolized the land and its wealth, there were many peasant movements which fought for change. As a result the Ba'ath Party was able to recruit young peasants from these radical peasant movements, and could in the end mobilize large sectors of the population to support their policies. The plans for the 8th of March revolution were drawn up and implemented by the military committee of the Arab Socialist Ba'ath Party. The first act of the military committee was to establish the twenty-man National Council for the Revolutionary Command, however the military committee of the Ba'ath Party formed state policies, not the civilian Party leadership headed by Michel Aflaq. To begin with, the members of the military committee were bound together by their goal of building a prosperous nation. The leading members of the military committee throughout the planning process and in the immediate aftermath of taking power were Muhammad Umran, Salah Jadid and Hafez al-Assad. Salah Jadid was Syria's effective ruler from 1966 until 1970, but in 1970 a bloodless military overthrow Hafez al-Assad replaced him. WHAT ARE THE ISSUES IN SYRIA'S POLITICAL HISTORY? The conventional understanding of the conflict at the center of Syrian history for the last 50 years is that the Ba'ath party is secular and nationalist, while their opposition, Muslim Brotherhood, is religious. The Brotherhood sees nationalism as un-Islamic and religion as inseparable from politics and government. There are two serious errors with this way of understanding events in Syria. First as we have seen above, the main political parties have not made religion an issue. They were and still are all secular in the sense that they do not see religious affiliation as politically important. Western "experts" and the Muslim Brotherhood see Al-Assad's religion as politically significant, but nobody in Syria itself thinks this. All major parties in Syria have supported independence from the Ottoman Empire and France. In spite of its name, the People's Party was a monarchist party, while the National Party was republican. It seems this question was settled in 1961 when the country adopted the name Syrian Arab Republic, in line with National Party policy. The main issue between the Ba'ath Party and the two traditional opposition parties concerns the best social structure for Syria. "Most Ba'ath party members were from humble, obscure backgrounds and favored radical economic policies, while Sunni Muslims had dominated the souqs and landed power of Syria, and tended to view government intervention in the economy as threatening. "(6) Remember that the leaders of the two traditional parties, and the leaders of the National Bloc, were members of wealthy landowning families. The first confrontation between the Ba'ath party and the Muslim Brotherhood in Syria occurred shortly after the 1963 Ba'athist coup. Some believe that the Islamist political groups, of which the Brotherhood was the most prominent, represented the strongest opposition to the new government. However looking at the results of the 1961 parliamentary elections in Syria, it gained 10 of 172 seats, which made it a distant 4th of the top four parties represented. Remember also that in this election 84 of the 172 seats were held by independents. It might have been the strongest military opposition to the government, but it was clearly of little political significance when measured by electoral results. BUT WHAT IS THE MUSLIM BROTHERHOOD? The group now known as the Muslim Brotherhood was founded in 1928 by the Egyptian Hassan al-Banna. The Brotherhood claims it wants to restore Islam to the alleged purity of its earliest days and rests on an ultra-orthodox view of Islam. From the beginning, however, the Brotherhood had "enormous power behind the scenes in monarchical Egypt, playing politics at the highest level, often in league with King Farouk against his political opponents, including the left, the communists, and the nationalist Wafd Party. "(8) The political positions of the Brotherhood meant that it often had the same views as the colonial British. For this reason, the Brotherhood became an intelligence agency, infiltrating left-wing and nationalist groups. Thus even its early years the Brotherhood was not just interested in an ultra-orthodox approach to Islam. In addition the Saudis have been backers of the Brotherhood for the same reasons that the United States and the Western powers needed them: to promote opposition to Arab nationalism and the growing influence of Shiite states. Robert Dreyfuss writes, “From its early days, the Brotherhood was financed generously by the Kingdom of Saudi Arabia, which appreciated its ultra-conservative politics and its virulent hatred of Arab communists.”(10) The other message of the Brotherhood which helps promote the interests of the US Empire is the Salafist ideology that preaches conflict and inescapable war between the branches of Islam. This promotes the age-old conqueror's strategy of divide and rule as the different Arab states fight with each other, or become dysfunctional through internal conflicts. One of the most common criticisms of Syria is that the Al-Assads are "dictators" with an extensive secret police presence and a history of killing hundreds or thousands of their citizens. However this story is usually told with the assumption that the opponents to the Assad regime in Syria are just responding to local issues. However once we realize that the opposition by the Muslim Brotherhood is organized and financed by the US, the UK and the Saudis, the response of the Assad government is the same as any other government would be in the same circumstances. In the US, for example, which is held up as a model of a free, democratic society, there are multiple intelligence agencies which focus on the surveillance of domestic political opposition while there is no organization in the US even approaching the power and influence the Muslim Brotherhood has in Syria. For example, in 1979 there were a series of assassinations which led up to 16th of June slaughter of cadets at the Aleppo Artillery School. According to the official report 32 young men were killed, while unofficial sources say the toll was as high as 83. (11) In the following year there was a nearly successful assassination attempt on the life of Hafez al-Assad. People in the US are told to fear "Al-Qaeda", but if this organization really exists, there is almost nothing other than 9/11 that they are alleged to have done in the US. No country in the West in the last 70 years has had any serious internal or external threat which could justify the methods used by the Syrian government against the Brotherhood. But if such a threat did arise, does anyone really believe they would be any different? The only reason there is the limited freedom and democracy found in the West is that there is no externally funded and organized opposition, and internal opposition is completely ineffective. This shows that extreme Muslim terrorists – salafists, Muslim Brotherhood, and AQI (Al Qaeda in Iraq) – have always been the major forces driving the insurgency in Syria. The salafists, following the Wahhabi sect of Sunni Islam, are supported by Saudi Arabia. They formed the core of the Taliban and Al Qaeda. The Muslim Brotherhood, which has similar fundamentalist beliefs, is supported by Qatar. These groups have been active in Middle East politics for almost 100 years. … there is the possibility of establishing a declared or undeclared Salafist Principality in eastern Syria (Hasaka and Der Zor), and this is exactly what the supporting powers to the opposition want, in order to isolate the Syrian regime …. That is, the powers supporting the Syrian opposition – the US and the UK, Saudi Arabia, Qatar and Turkey - wanted to create an Islamic caliphate in order to challenge Syrian president Assad, and they trained the people who became ISIS. What happened in Syria was no accident. These documents show that the US was involved in these ghastly crimes from the very beginning. SO WHAT IS THE WAR ON SYRIA ALL ABOUT? 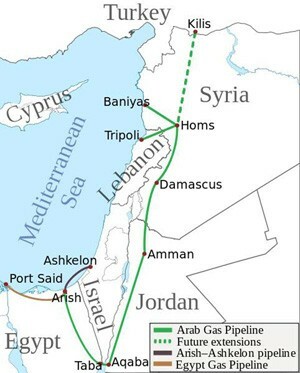 In 2009 the Assad government was asked to sign a proposed agreement with Qatar that would run a pipeline from its North gas field through Saudi Arabia, Jordan, Syria and on to Turkey, with a view to supply European markets. The clear intention was to transport gas to the EU as competition and/or replacement for gas from Russia and from Iran. The Assad government refused. According to former French foreign minister Roland Dumas, Britain started to plan covert action in Syria that same year. This Iran-Iraq-Syria pipeline plan was a “direct slap in the face” to Qatar’s plans. "Syria controls one of the largest conventional hydrocarbon resources in the eastern Mediterranean. "Syria possessed 2.5 billion barrels of crude oil as of January 2013, which makes it the largest proved reserve of crude oil in the eastern Mediterranean according to the Oil & Gas Journal estimate. The other side of these wars is driven by pipeline politics. As the Taliban were overthrown in Afghanistan after they demanded too much for the Unocal pipeline through their territory, Syria’s Assad is being attacked by the West and Western backed states like Qatar and Saudi Arabia because the Assad government has its own plans for pipelines through its territory. This is why the US Empire wants to break the power of states like Syria and Iraq, so their oil and gas companies can do what they want, as in the old days of the League of Nations "mandates" after World War II. 15. http://www.globalresearch.ca/silencing-a-whistle-blower-gladio-b-and-the-origins-of-isis-sibel-edmonds/5475126, quoted in http://www.globalresearch.ca/unmasking-isis-how-was-it-able-to-gain-land-arms-and-money-so-quickly/5475667. Does the US/UK/Australian "War on ISIS" Pass The Sniff Test?